Home / breath spray / mouthwash / press release / swish / unilab / Say Hi! to a fresher breath, Say SWISH! Say Hi! to a fresher breath, Say SWISH! Swish is an oral care brand of Innovitelle, Inc. launched in 2009. It is alcohol-free which makes it healthy and safe to use that even children, cancer patients and survivors and pregnant women can use it. Swish is recommended by the Philippine Dental Association (PDA). Swish boasts its Surefresh Technology that kills bad breath causing bacteria, prevents plaque build-up, tooth decay and gum disease. It effectively and safely gives you long-lasting fresh breath. Swish mouthwash is available in 5 variants with different minty levels to suit your taste. Swish comes in different flavors like Arctic Chill, right blend of cool and minty with that extra kick of freshness; Peppermint Fresh gives you the right minty fresh feeling for an awesome cooling sensation; Mangosteen Mint is a minty treat with the right touch of fruit blended in; Cinnamon Blast is a mix of mint with the perfect blend of cinnamon flavor and Icy Choco Mint blends together the freshness of mint with the goodness of chocolate flavor without the guilt in a sugar-free formulation. 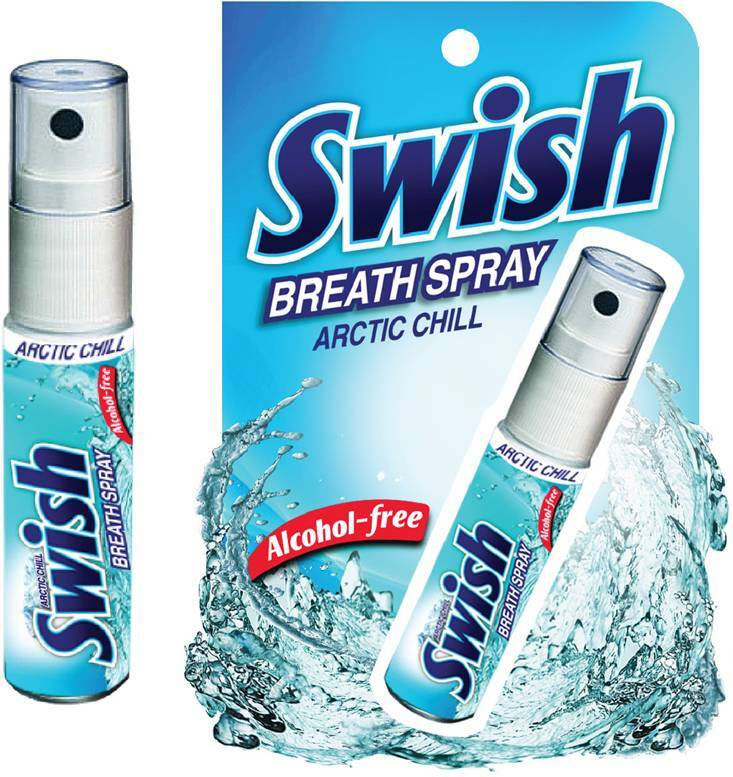 Along with its line of mouthwash, Swish now has a Breath Spray product that gives you instant fresh breath in just 10 seconds. It quickly kills germs and bacteria in the mouth to eliminate bad breath caused by eating, drinking and smoking. It is very convenient to use anytime and anywhere for a quick breath fix. Aside from that, it is absolutely alcohol-free and sugar-free. The breath spray is available in 2 refreshing variants – Arctic Chill and Peppermint Fresh. It is very economical as each bottle can last up to 100 sprays. Swish is manufactured by United Laboratories, Inc. For more information, like Swish Facebook page or visit and follow Unilab's links below.